There are an estimated 300 million acute cases of malaria every year around the world, resulting in more than one million deaths. Approximately 90 per cent of deaths from the scourge occur in Africa, mostly in young children. Malaria in Nigeria, according to the Federal Ministry of Health (MoH), is responsible for 60 per cent of outpatient visits to health facilities; 30 per cent of childhood deaths; 25 per cent of deaths in children under one year; and 11 per cent of maternal deaths. Furthermore, the Federal Ministry of Health estimates a financial loss from malaria (in the form of treatment costs, prevention, loss of man-hours, etc.) to be roughly 132 billion Naira per year (approximately $838,564,000 USD). Nigeria accounts for one-quarter of malaria cases in Africa and there are more deaths caused by malaria in Nigeria than in any other country. 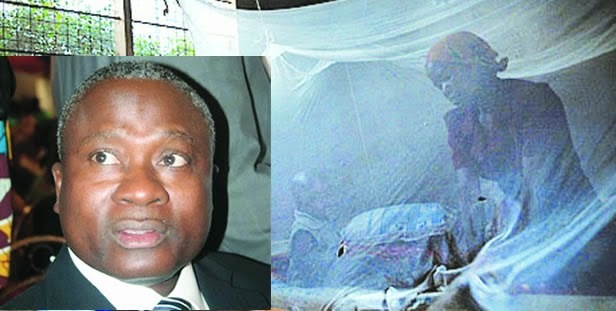 To tackle the disease, the Lagos state government has said that it utilizes multiple approach including, vector control interventions, preventive therapies, diagnostic testing, treatment with quality-assured Artemisinin-based Combination Therapies (ACTs), and strong malaria surveillance to control and eliminate malaria. The State Commissioner for Health, Dr. Jide Idris said this over the weekend during a community sensitization campaign to commemorate this year’s World Malaria Day at the Amu Market in Mushin Local Government Area(LGA). According to a statement signed by Tunbosun Ogunbanwo, Assistant Director, Press & Public Relations, the State government is using various integrated preventive measures to combat malaria. Idris further explained that Long Lasting Insecticide Nets (LLINs) have been deployed to communities, the statement said. He noted that nets are also distributed in public health facilities to children who had completed their immunization schedule and also to pregnant women who booked for antenatal care. The State Ministry of Health boss, also said that pregnant women are freely and routinely given in the prescribed manner Sulphadoxine Pyrimethamine (SP) for Intermittent Preventive Treatment of malaria during ante natal clinics. “Another preventive strategy being deployed in the State is the Indoor Residual Spraying (IRS) which is the application of long-acting chemical insecticides on the walls and roofs of houses to curtail malaria transmission, he said. “The sixth round in the series of IRS activities was implemented in seven LGAs namely Ojo, Ikorodu, Badagry, Amuwo-Odofin, Kosofe, Epe and Ibeju-Lekki LGAs in 2014 and approximately 650,000 rooms were sprayed,” Idris said. The Commissioner who was represented at the event by the Deputy Director in charge of Disease Control in the State Ministry of Health, Dr. Rotimi Agbolagorite added that the State Ministry of Health has also implemented Larviciding to prevent the development of the larvae to adult mosquitoes in Ikosi-Isheri and Agboyi Ketu local council development areas both within the Kosofe Local Government Area. Larviciding is the application of larvicides to bodies of water to attack mosquito larvae and prevent the development of the larvae to adult mosquitoes. Idris stated that the State government has also made available in all public health facilities in the State, Malaria case management which entails the compulsory diagnosis of malaria either by the use of the Rapid Diagnostic Test kits or microscopy and effective treatment with the use of Artemisinin Combination Therapies (ACTs) antimalarials. According to him, all patients can access the service at no cost. He stressed: “It is important that the citizens in the State are equipped with the right information to enable them take appropriate actions regarding malaria control. To this end, information dissemination is carried out through jingles on the radio, community sensitization and mobilizations activities where information leaflets and fliers are distributed to the citizens”, the Commissioner said. He posited that the fight against malaria is a collaborative one among all relevant stakeholders that requires the commitment of everyone. Idris insisted that all residents must all be active in ensuring that their environment is clean and free of any collection of water that can serve as a breeding site for mosquitoes. He said: “Everyone should sleep inside a Long Lasting Insecticide net every night. Pregnant women should receive Sulphadoxine Pyrimethamine (SP) for Intermittent Preventive Treatment of malaria during ANC clinics. “You should also visit the nearest health facility when ill and demand for laboratory testing prior to the administration of antimalarial,” Idris stated. The Commissioner also noted that despite the huge investments in malaria control and the significant impact in the decline in malaria morbidity and mortality, an estimated 198 million cases of malaria occurred globally in 2013 and 584,000 associated deaths were recorded according to 2014 World malaria Report. Tragically, most cases occurred in Africa, while most deaths affects children under five years, Idris lamented, adding that the cosmopolitan nature of Lagos and the abundant distribution of coastal areas encourage the availability of stagnant water resulting in breeding sites for the anopheles mosquito. Also, while speaking at the event, the Executive Secretary of Mushin Local Government Area, Hon. Babajide Bello noted that keeping a healthy environment devoid of breeding sites for mosquitoes is one of the ways Malaria scourge can be fought. He charged residents of local government as well as market men and women of Amu Market to cue into various preventive interventions being put in place by the State government in fighting malaria. April 25th is World Malaria Day, a day set aside by the Roll Back Malaria (RBM) partnership to draw attention to the burden of malaria. The theme for this year’s commemoration is “Invest in the future: defeat malaria” and aims to draw significant attention to the additional efforts required in achieving the targets of the Millennium Development Goals in 2015. This story was published in Newswatch Times on April 30, 2015.